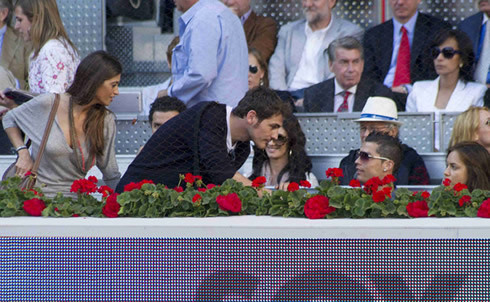 ﻿ Iker Casillas: "Cristiano Ronaldo gives us goals and titles"
12.12.2011» Iker Casillas: "Cristiano Ronaldo gives us goals and titles"
Iker Casillas spoke to the press after the 1-3 loss against Barcelona this last Saturday and stressed out that it's no one should be blamed individually for the defeat against Barça. 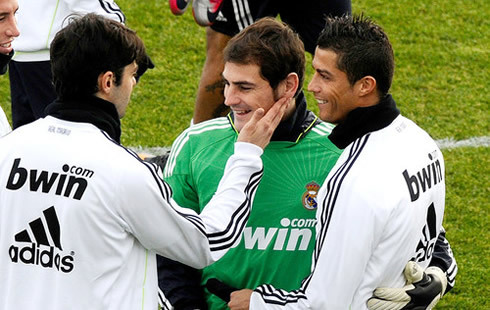 Casillas still defended Cristiano Ronaldo from all the critics and said that the Portuguese player will keep delivering goals and titles to Real Madrid. 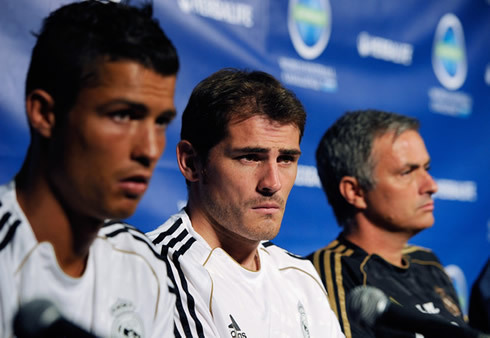 In the hangover of "El Clasico", Real Madrid captain and goalkeeper, Iker Casillas, granted a few statements to the journalists and made sure to defend his teammate, Cristiano Ronaldo, from all the critics blaming him for the loss against Barcelona. 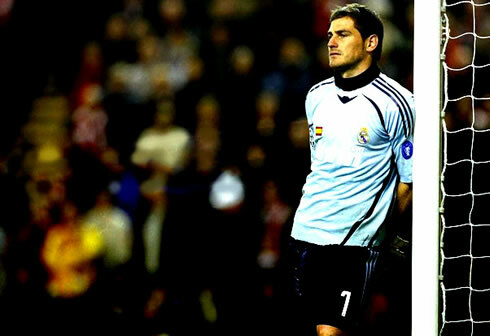 Casillas emphasized that when a team loses, then everyone loses and not only a few selected persons. 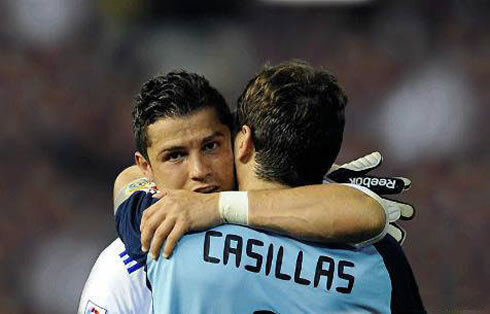 The Spanish goalkeeper also stressed out that Cristiano Ronaldo is still the player who will keep scoring goals for Real Madrid, which will eventually help the club reaching the big titles at the end of season. 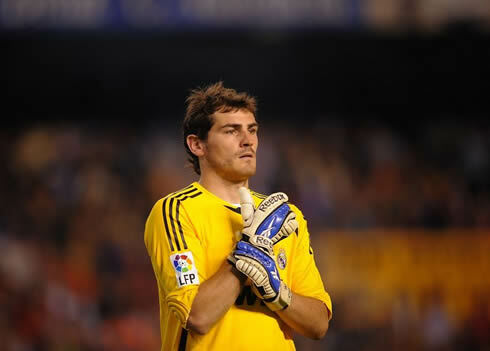 Iker Casillas: "It's not going to be hard to cheer up our fans really soon. We're playing in a long-term competition and this last Saturday, there was a team who actually defeated us in the Santiago Bernabéu. We just have to focus on the next match against Sevilla and pull of the 3 points from the Sanchez Pizjuan", said Real Madrid goalkeeper in an attempt to not give too much importance to 3 points loss, when there's the opportunity to redeem in the next scheduled fixture against Sevilla, right on the next weekend. When asked if there was any reason to point fingers at someone for the 1-3 defeat against Barcelona and to make of Cristiano Ronaldo a scapegoat for everything bad that happened, Casillas granted a categorical answer: "We are a team and either we win or lose, we take our responsabilities as a group. Cristiano Ronaldo gives us goals and titles. 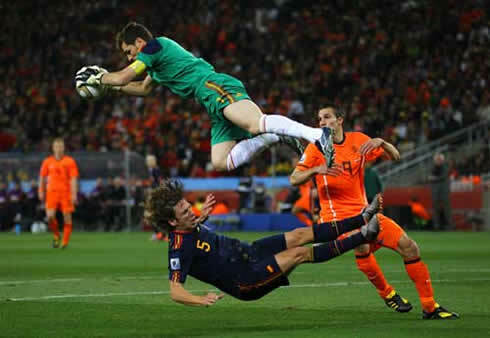 We must all help each other in adversity", said the Spanish goalkeeper, before leaving a final remark about the rivalry with the Blaugrana: "Barcelona shouldn't be an obsession." Sergio Ramos has also spoken a few words regarding the "Clasico" and showed that he also has some fair-play sense: "We have to congratulate our rivals, who are a great team." He then added: "The Spanish League didn't end today. We don't have to start being pessimistic all of a sudden, because we'll keep fighting for the title and there's still a long road ahead of us in La Liga. It's true that we lacked a bit of luck in the 1st half, but we could have also done a bit better in a few goalscoring chances, something which Barça accomplished to do. We must lift our heads and start preparing our next match against Sevilla, which will be a very tough opponent", noted Sergio Ramos. Real Madrid next game will be against Ponteferradina, on the 13th of December, in a fixture for the Spanish Copa del Rey. 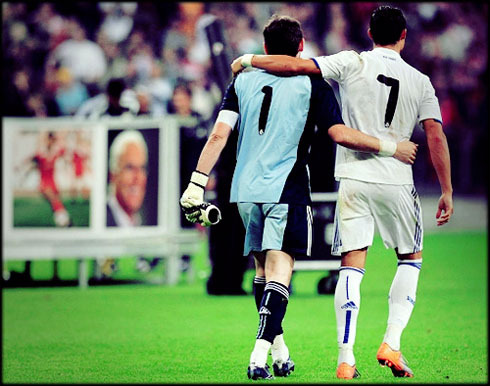 After the harsh loss against Barcelona, Cristiano Ronaldo should be available to be a starter on this match. This Monday, you can watch Manchester United vs Wolves for the English Premier League, and on Tuesday, you may also follow Pontefarradina vs Real Madrid for the Copa del Rey. All these games will be available from our football live streams section. You may check how much time is left for the next Cristiano Ronaldo game, by looking at the countdown timer, located on the top right corner of all pages.